Services for Captain Riel were held last Thursday in Spokane Valley, Washington. Ronald Eugene Riel died peacefully in his home on September 10, 2017 in Spokane Valley, WA at the age of 79. Ronald is survived by the love of his life, wife, Kathie Riel; five children and their spouses Ron Riel (Terry), Cherie Wall (Dave), Laurie Gilstrap (Kerry), David Riel (Barbara) and Michele Haus (Al); 16 grandchildren; Alex and Natalie Riel, Ryan and Nick (Tara) Wall, Nicole (Kasey Folsom), Justin, Jaclyn, and Joseph Gilstrap, Darren and Ethan Cheatham, Devin and Jennifer Riel, Brandon, Ashley, Emily and Maria Haus; and four great grandchildren, Makenna Wall, Lincoln Wall, Kasey and Brentin Folsom; sister Jan Martin, and numerous nieces and nephews. He is preceded in death by his parents Ronald Joseph and Alice Agnes Riel. Ron was born on March 23, 1938 in Yakima, WA. He grew up on the family hop farm in Wapato, WA where he learned to operate heavy equipment. His love of flying started at an early age and he achieved his pilot’s license in high school. 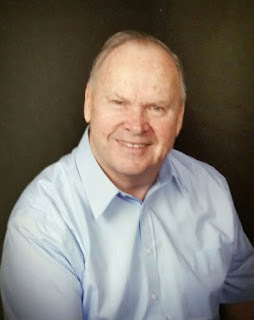 He graduated from Marquette High School in 1956 and from Gonzaga University in 1962 with a degree in Marketing. While at Gonzaga, he was a member of the ROTC, and of the renowned Gonzaga Glee Club. He married Kathie Acher, his college sweetheart, in 1962. They recently celebrated their 55th wedding anniversary with a family gathering in Minnesota. Immediately after graduating from Gonzaga, he entered the Navy as an Ensign and moved to Milton, Florida to attend Navy Flight School. After several years of training, he was deployed overseas multiple times in support of the Vietnam War where he flew P2V patrol and anti-submarine warfare aircraft. After his military service, he was hired by Northwest Orient Airlines as a pilot. Over the next 10 years, Ron and Kathie happily welcomed their five children into their home. His children remember him as a hard-working father who encouraged them to pursue their goals and was always there to share his wisdom. Frequent camping and motorhome trips throughout their childhood will be cherished memories. Though a pilot strike caused him to work at various jobs for a few years, eventually, he was recalled to work at Northwest, and returned to his true calling and enjoyed a rewarding career as a pilot. During his career with Northwest, he was privileged to fly many different types of aircraft and retired as a B-747-400 Captain. Upon retirement, Ron and Kathie returned to the Pacific Northwest, settling in the Spokane Valley. Ron was very active during retirement. He was a member of the Knights of Columbus, St. Mary’s Catholic Church, holding several officer positions. He was also an active member of the Spokane Valley Kiwanis Club where he volunteered and served in numerous capacities and was honored to ultimately preside as Lieutenant Governor of Division 46 of the Pacific Northwest District. He was a dedicated member of St. Mary’s Catholic Church in Spokane Valley where he served as a Eucharistic Minister. Ron was a lifelong Gonzaga Basketball fan, attending both the men’s and women’s games for many years. Ron could frequently be found working in his yard on his tractor or indoors enjoying a fine novel. Ron always had a passion for fishing and enjoyed his last fishing trip on Father’s Day with one of his sons and a granddaughter. A funeral is scheduled for 14 September 2017 at St. Mary’s Catholic Church in the Spokane Valley with a reception to follow. All are welcome to attend and celebrate Ronald Riel's life. From: RNPA News Sent: Tuesday, September 12, 2017 4:37 PM Subject: RNPA News: Ron Riel Has Flown West. It is with a sense of great sadness that I must share with you that Ron Riel passed away quietly at home in the Spokane Valley earlier today. I had talked with Ron several times over the past two months. It was apparent that he was weakening but he had tried to hold his own. Kathie called last Thursday and said he was not eating and had lost a great deal of weight. She sounded well considering the circumstances and the family members were coming for what turned out to be their final visit. Hospice came in to assist during what was felt to be his final days but Ron decided to depart before they were ready for him. I remember Ron for a great number of things. He was one of two squadron members who participated in the infamous Flying A formation in August of 1966. I was a newby flight surgeon and had gone down to Ault Field because I had been informed that I would soon become VP-1s flight surgeon. Shortly after their current flight surgeon departed, I went down to be introduced to the squadron. I learned years later that there were two pilots overjoyed to see (view) me. Ron and Ernie Perkins. Seems they had a bit of trouble adhering to the Navy’s stringent weight restrictions for pilots. Both were delighted to see that the new flight surgeon suffered from the same malady. Maybe there as some slack coming. Then there will always be the legend of his farewell party as he departed the Navy for commercial aviation. That was conducted at the O club at NAS Sangley Point. Seems there was a problem with his shot record and he would not be allowed back in the continental United States unless he received 5-cc (that is a hell of a big shot) of gamma globulin. Finally convinced, and in typical Ron Riel style, he dropped his drawers in front of all those assembled and I administered 5 cc of saline. It turns out that there was no actual requirement for a GG shot but now I had my payback for some of the pranks he had pulled on me. For years he would bemoan the fact that he had the most miserable trip home sitting on that lump in his derrière. It was only when I roasted him when he was inducted as President of the Spokane Valley Kiwanis that I shared the truth with him. He threatened to never speak to me again. But he did. As a pilot, he was a perfectionist. And I think his children bore the brunt of some of that perfection. But Ron was a very caring man who was greatly loved by his family and friends and he left a legacy of service. He was always a member of the “Work Party” for the VP-1 Reunions for that era. Kathie, you are a saint! And he could be so very, very funny. Like his self-extraction of his entire body from his car on a ferry between Port Townsend and Whidbey Island during one of our reunions. They had parked him very close to a pillar and he was either going to stay in the car or squeeze himself out. Out he wriggled. Like a tube of toothpaste. It was hilarious. And then he went back into the car by the same route. Those who had seen the initial extrication were waiting with cameras. Fair Winds and Following Seas my friend. You have earned your rest. I am sure the family would love to hear your favorite Ron Riel story(ies).